Washington, April 11 (IANS) The forcible removal of an Asian doctor from an “overbooked” United Airlines flight will be probed by the US Department of Transportation (DOT), it said in a statement. The elderly doctor was violently pulled out of his seat and dragged away on the aisle of the aircraft by police and airline staff after he refused to give up his seat on a flight at Chicago’s O’hara International Airport on Sunday. “The DoT remains committed to protecting the rights of consumers and reviewing the involuntary denied boarding of passenger(s) from United Express flight 3411 to determine whether the airline complied with the oversales rule,” Xinhua news agency cited the department as saying on Monday. 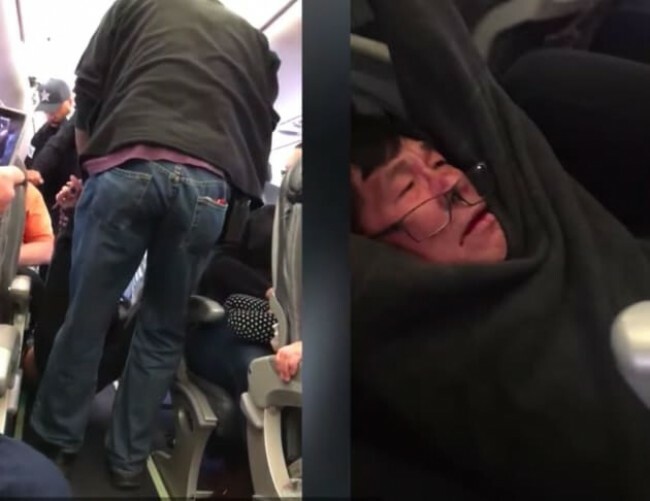 The DoT response came after the incident of the Asian doctor’s removal was recorded by at least two passengers and the videos went viral on social media, sparking a national outrage. He said the airlines was “reaching out to this passenger” and “further address and resolve this situation”. The airline offered $1,000 for volunteers to give up their seats on the Chicago to Louisville, Kentucky, flight to accommodate four of its own employees on the fully-booked flight, according to the airline. When no one came forward, the airline staff told four people, who they said were picked by a computer, to leave the plane, according to passengers. One of them, the doctor, said he could not because he had to attend to patients the next morning. Airline staff then called the Chicago aviation police to remove him. The videos showed police dragging him from his seat, injuring his face, throwing him on the floor and dragging him along the aisle by his arms, while his glasses slid down his face and his shirt rode up his chest. The doctor, who had identified himself as Chinese according to passenger accounts in the media, returned to the aircraft with his face bleeding. He collapsed and was taken away on a stretcher, according to a passenger. “While it is legal for airlines to involuntarily bump passengers from an oversold flight when there are not enough volunteers, it is the airline’s responsibility to determine its own fair boarding priorities,” the DoT said. The airline had claimed that it needed to remove four passengers because it had overbooked the flight but later admitted that it wanted the passengers to give up their seats for its own staff. The treatment of the passenger and the CEO’s statement stirred anger across the nation on social media and in newspaper comment sections. On the New York Times website, several readers wrote they and/or their businesses would boycott the airline. Chicago Department of Aviation said in a statement that one of the three police officers involved in the case was made to go on leave pending a review of the incident, which it said was not handled in accordance with its standard operating procedures.